Annual market size HAM-ACC: 15,000 passengers. 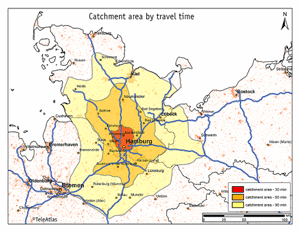 Almost 40% of all Ghanaians in Germany live in HAM’s catchment area. HAM has Germany’s second-largest market for ACC. Annual market size: 28,000 passengers. Share of connecting traffic 64%. Annual market size: 20,000 passengers. Big beyond potential, e.g. to Florida. Annual market size: 93,000 passengers. Largest unserved market from HAM catchment (+25% growth over the last five years). Annual market size: 17,000 passengers. Great as a hub to other African destinations. Annual market size: 10,000 passengers, much more with a direct service. Leisure destination for the winter season. Annual market size: 28,000 passengers. Large business segment. Hamburg’s sister city. Annual market size: 22,000 passengers. High-yield niche market with a 38% share of business travellers. Annual market size: 39,000 passengers. Reason for travel: 57% business. Annual market size: 20,000 passengers. Share of connecting traffic 47%. Typical winter destination. Annual market size: 16,000 passengers (+83% growth over the last 10 years). Annual market size: 55,000 (+22% growth over the last five years). Many people from northern Germany own second homes in Florida. Annual market size: 38,000 when there is a direct service. Leisure destination for the winter season. Annual market size: 45,000 passengers (+17% growth over the last five years). Reason for travel: 60% business. Many companies ask for a nonstop service to China. Hamburg’s sister city. Annual market size: 28,000 passengers. Leisure destination for the summer season. Annual market size: 12,000 passengers (+35% growth over the last five years). Hamburg is Germany’s wealthiest city (Hamburg’s GDP per capita ranks 4th in Europe after inner London, Brussels and Luxembourg). Hamburg is Germany’s wealthiest city. It has Germany’s highest GDP per capita, strong purchasing power and best economic outlook. With 5 million people in the metropolitan area Europe’s largest non-capital city. Hamburg is home to many blue chip companies and world-famous brands. Hamburg is one of the three leading locations in the global aviation industry and home to Europe’s third-largest container port. 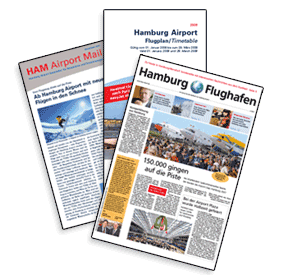 Hamburg Airport offers a healthy mix of business and leisure passengers (33% business traffic). HAM supports new routes with an incentive programme to reduce airline start-up cost such as landing, take off and positioning charges. 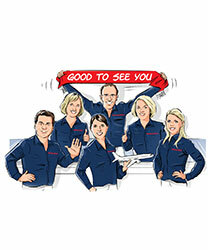 On existing routes, Hamburg Airport rewards market growth with the Route Growth Incentive Scheme (SWP). Close co-operations with local tourist board, Chamber of Commerce and business development authorities. Hamburg is Germany’s second largest city – with a population of approximately 1.8 million – three times the size of Frankfurt! 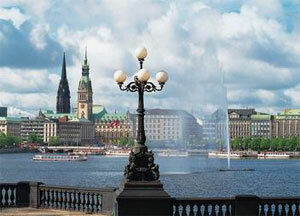 With five million people in the metropolitan area Hamburg is Europe’s largest non-capital city. HAM’s catchment area includes the southern parts of Denmark. Approximately 160,000 Hamburg-based companies registered with the Chamber of Commerce. There are about 4,000 international companies, including: 550 from China. Textile industry and mail-order business (import). High amount of express shipments (express air cargo). 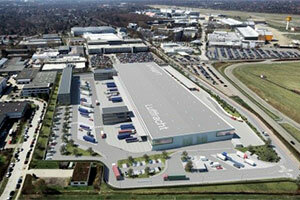 56.000 m² of logistics space, of which 19.000 m² are directly connected to the apron. The HAM freight market has far too little capacity with no full freighter operation. Demand exceeds supply by far. 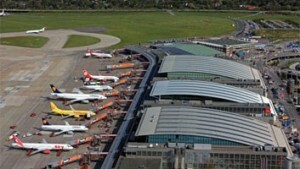 Hamburg Airport is THE airport for northern Germany. It is located just eight kilometres north of the city center. 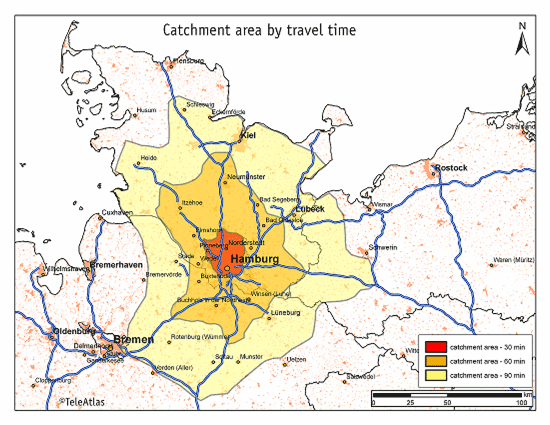 The airport has direct links to the main motorways to the north and south and to Germany’s capital, Berlin. HAM has an S-Bahn (suburban rail network) connection, which takes you to Hamburg’s central station in just 25 minutes. 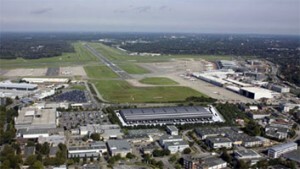 Hamburg completed a major expansion programme in 2009 and offers state-of-the-art infrastructure. Another expansion programme was launched recently. It involves a new cargo center on the south side of the airport. Once the existing cargo centre has been demolished, there will be room for an extension to the pier where six additional boarding bridges will be added. Runways: Two IFR equipped/ full ILS CAT II and IIIb runways of 3,250 metres and 3,666 metres, for operations by commercial aircraft up to 747 and A380.